When people think of rodents, mice are what usually comes to mind. However, more than 2,000 species of rodents exist. The easiest way to identify the types of rodents is by the suborders, such as Sciumorpha (squirrel-like), Myomorpha (rat-like), Hystricomorpha (porcupine-like) and Castorimorpha. 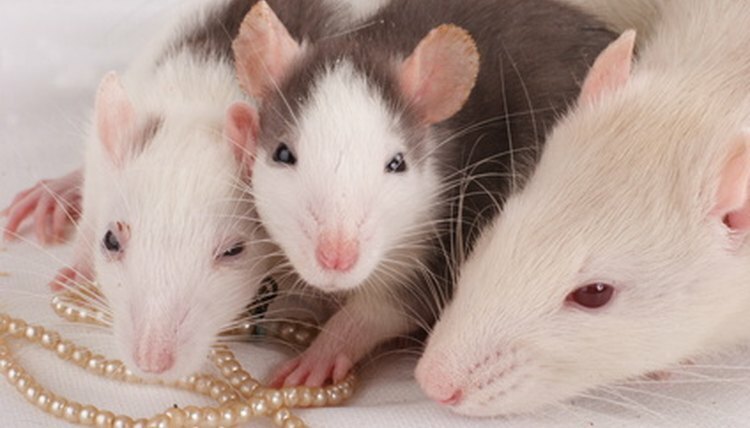 These four types of rodents are classified according to their skeletal system, specifically the formation of the jaw and teeth. Sciuromorph rodents are characterized by the shape of their infraorbital canal, located in the maxilla, or upper jaw. The Lewis-Clark State College website states that in sciuromorph rodents, the medial masseter muscle, which assists rodents in chewing food, does not pass through the infraorbital canal, unlike other types of rodents. Instead, the medial masseter muscles is attached to the rostrum, or snout. More than 300 species of sciuromorph rodents live in the world, according to the Bio Kids website. 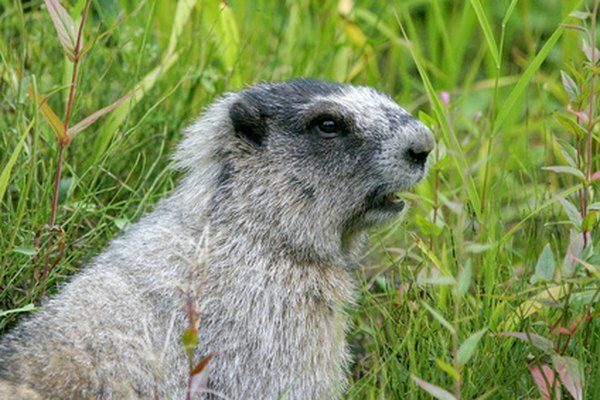 These rodents include squirrels, chipmunks, prairie dogs, woodchucks and marmots. Sciuromorph rodents are omnivorous, meaning they eat both plants and animals, or they are herbivorous, eating only plants. Most rodents belong to the suborder Myomorpha, which contains more than 1,500 species, representing 38 percent of all mammals, according to Bio Kids. 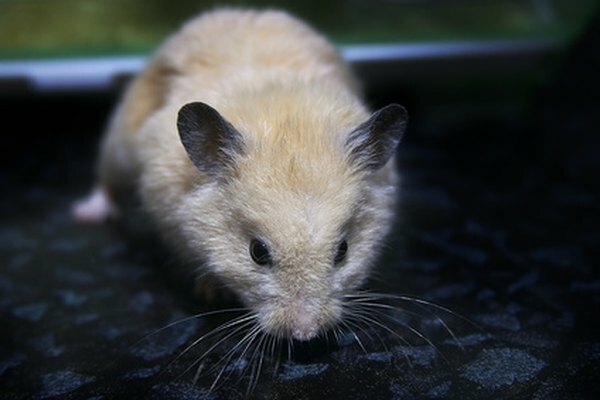 Myomorph rodents include rats, hamsters, mice, gerbils and lemmings. Myomorph rodents are identified by their jaw and teeth structure. The lateral and medial masseter muscles, used in mastication, are shifted forward. Because their jaws and teeth protrude, myomorph rodents are very prone to gnawing. A myomorph rodent's medial masseter muscles passes through its eye sockets, a unique feature among mammals. Myomorph rodents live in most habitats across the world, excluding New Zealand and Antarctica. Found in South America, North America, Africa and Asia, hystricomorph rodents include more than 230 species, states Bio Kids. 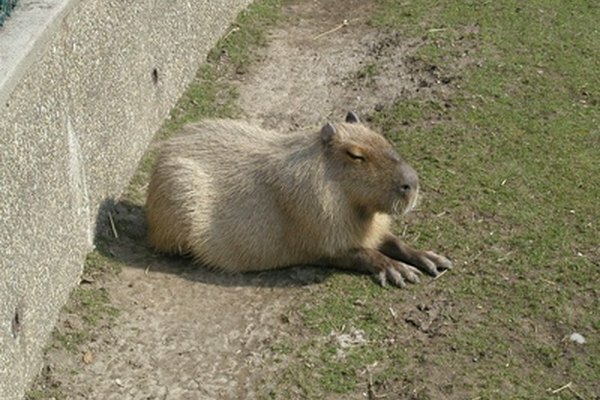 Large rodents such as capybaras and old world porcupines are included in this type. Other hystricomorph rodents include guinea pigs, pacas, naked mole rats, agoutis and chinchillas. All these rodents are herbivores, eating primarily leaves. Hystricomorpha rodents have enlarged infraorbital foramens, which is at the end of the infraorbital canal in the upper jaw. Ninety-six species of gophers, beavers and kangaroo rats make up the suborder castorimorpha. Found in North, South and Central America and Europe, these rodents eat small insects and seeds. 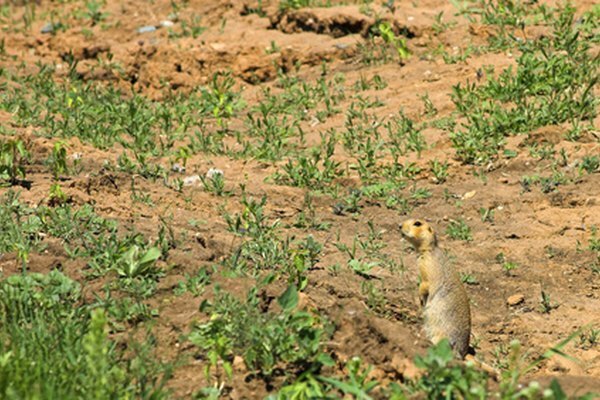 Gophers are burrowing rodents that live in underground tunnels in mostly western North America. Kangaroo rats, known for their jumping and large feet, live in dry areas such as deserts, where they rely on deep burrows to protect them from the sun. Mostly active at night, the North American beavers and Eurasian beavers construct dams from mud and twigs along rivers.